As President of Hayworth PR, Maria Hayworth draws on 25 years of experience in the tourism industry. While overseeing agency operations, she works directly with Experience Kissimmee, The Shores Resort & Spa, Leisure Pass and Visit Winston-Salem. Prior to opening Hayworth PR, Maria was director of publicity and promotions for VISIT FLORIDA, where she managed a staff of 11, as well as representatives in four international offices. Under Maria’s direction, the publicity and promotions departments drew national attention for their innovative programs and aggressive tactics. For two consecutive years, Travel Agent magazine recognized Maria as one of the “100 Rising Stars” in the travel industry. Maria began her career at the Orlando/Orange County CVB, where she worked in public relations and domestic tour and travel sales. She then went on to join The Zimmerman Agency, where she generated worldwide exposure for tourism clients such as Marriott Vacation Club International, and other destinations and world-class resorts. 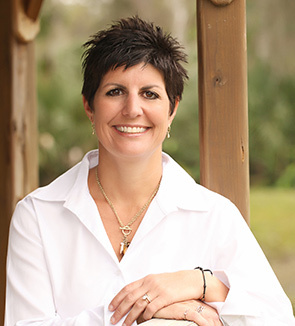 A life-long Florida resident, Maria has a bachelor’s degree in communication from Florida State University.